There is no hiding the amazing skill and quality of Chameleon Photographix. The couple behind Chameleon Photographix take their job seriously in the most enjoyable way possible. They love being able to capture those special moments whether it be a wedding, family portraits, kids, or pets…and that’s just breaking the surface. Based in North Carolina, if someone wants a photo of something, Chameleon Photographix are up for the job. They love their job and it shows through their work. 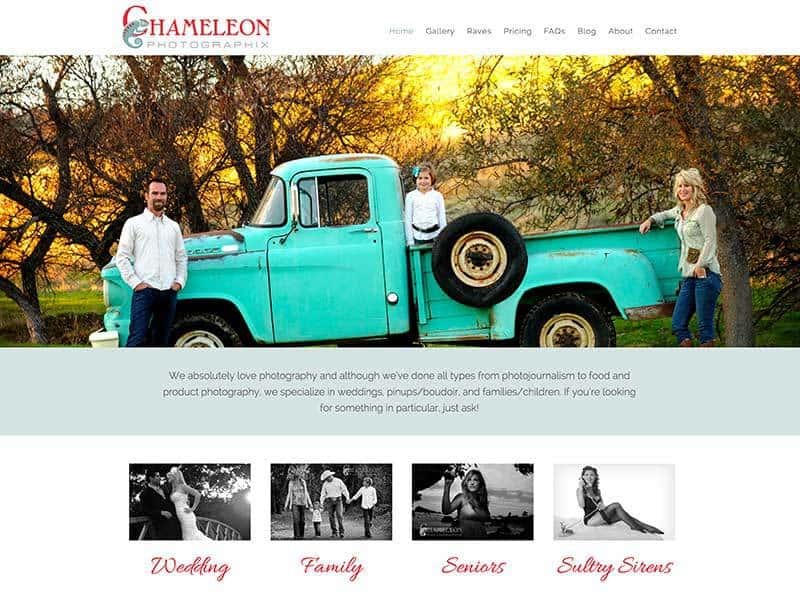 Our team worked with Chameleon Photographix to create a stunning updated website. By upgrading their website to a WordPress site, the couple are able to make changes and add photos much easier than with their old site. Using Google Adwords, our analytics team incorporated search words that would help foster more traffic to the site. To finalize the modern upgrade, the website was updated to be compatible with mobile devices. Updating your website has never been easier! Contact us today to learn more!